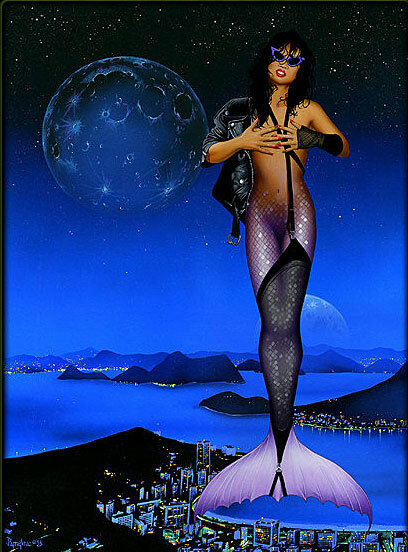 Click thumbnail to enlarge mermaid artwork. 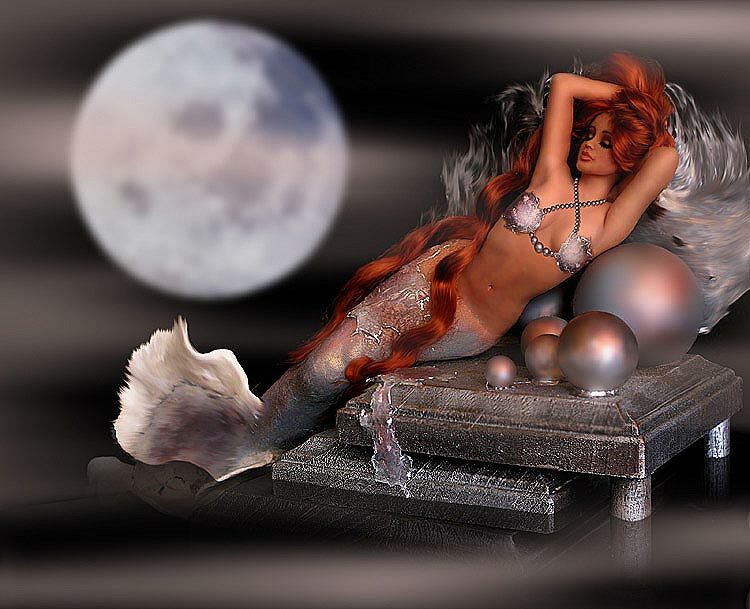 Mermaid stories come from many different countries. In each the mermaid appears somewhat different according to the local ideal of beauty. Compare for example the Indian mermaids in "Ne Hwas" to their blonde European sisters. 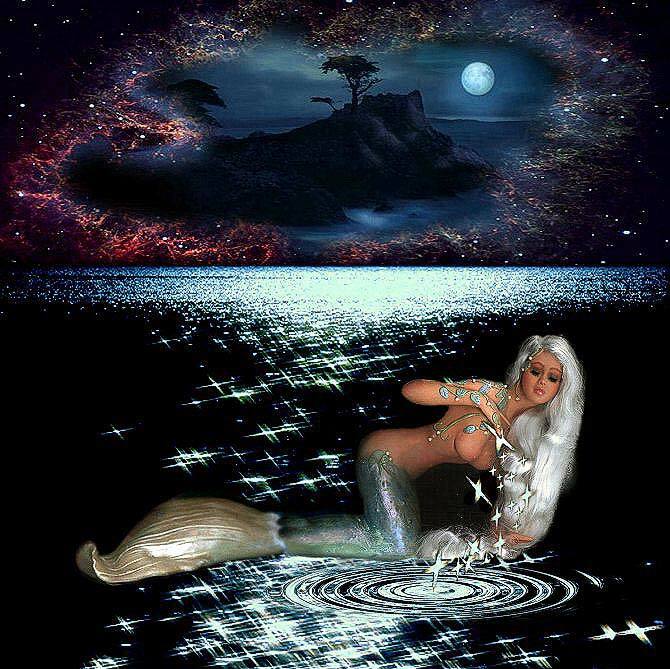 The nature of the mermaid does not change much from country to country. For example, I have never heard of a mermaid with short hair. They are almost always beautiful. They all seem to sing well. 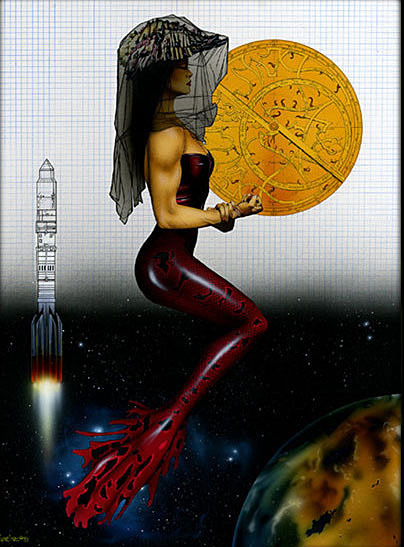 They are associated with mirrors and combs, medicine and healing, and often have magical abilities including the power to predict the weather. And they all seem to have the same type of love/hate relationships with mortal men. 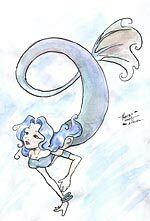 The story of "Melusina" is very similar to "Hoori and the Sea King's Daughter" from Japan. 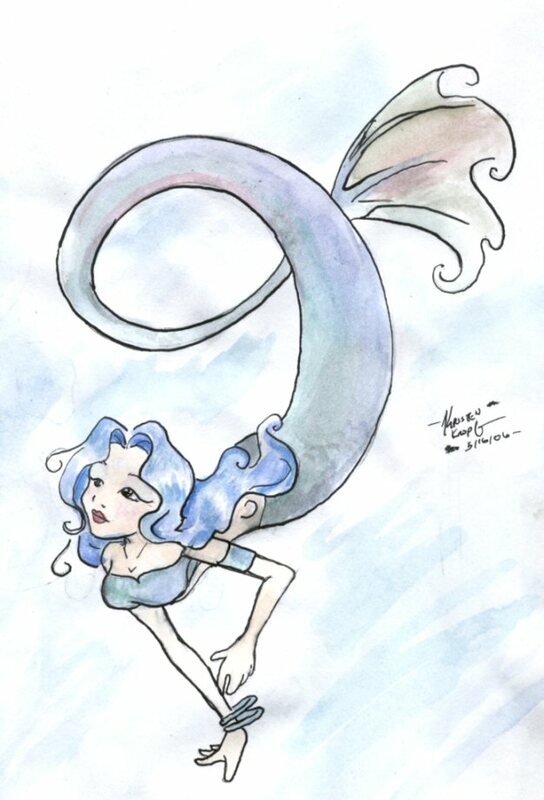 Click here to see more mermaid artwork.